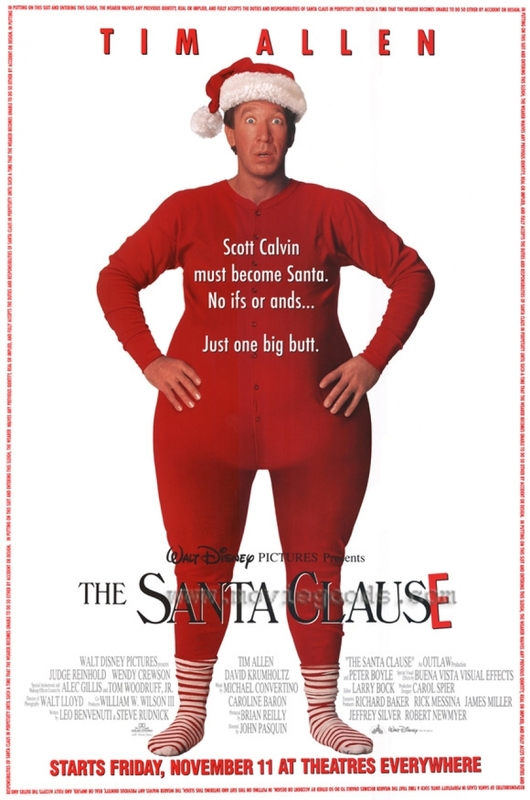 The Santa Clause tells the story of Scott Calvin, an average man whose life is changed forever when an accident on Christmas Eve causes him to inadvertently kill Santa Clause. Scott takes over the reins and finishes making Santa’s deliveries for the night, but as he soon finds out, this is more than a one night experience. By virtue of the Santa “Clause”, Scott has now become the new Santa. For the following year, he tries but cannot deny the rapid weight gain and whitening hair that are slowly transforming him in preparation for his role. Finally accepting this, he and his son, Charlie, embark on a Christmas Eve journey that makes believers out of everyone.